First and foremost, Makerble is a social network. Once you're in you can explore the projects, follow those that interest you and eventually donate to the ones which inspire you the most. Newsfeed: As the projects get up and running they will share updates with you of their progress. You will see these stories in your Newsfeed whenever you go to your My Home. Profile: Makerble automatically itemises your impact for you. 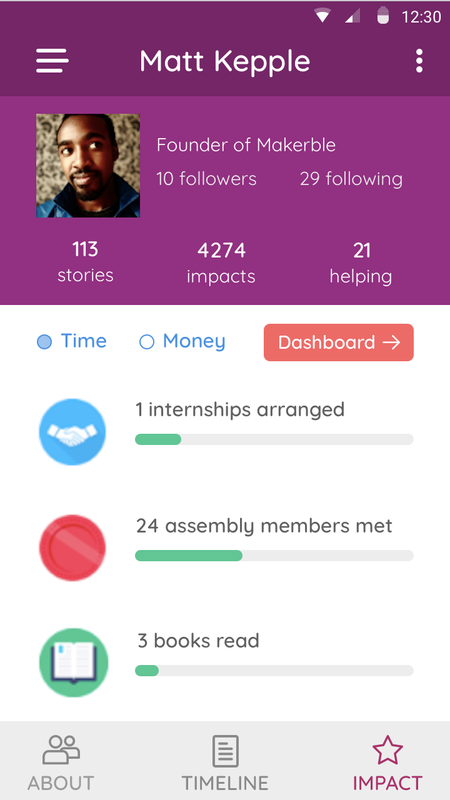 Whenever you visit your Profile page, you will see the number of impacts that have been made on the projects you're supporting since you've been donating to them.